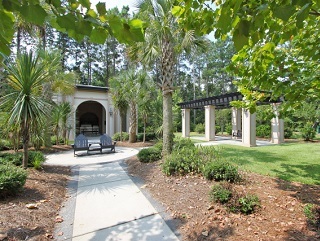 The Battery at Park West is a gated condo community in Mt. 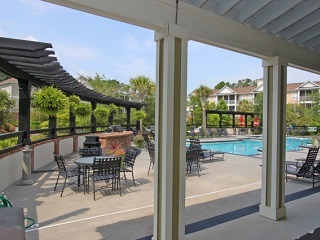 Pleasant located just 20 minutes to the nearest beach and 30 minutes to Downtown Charleston. 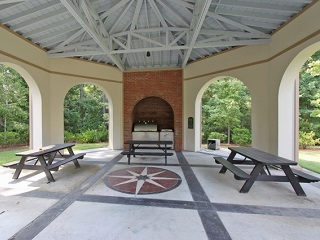 The Battery has very nice amenities including a swimming pool with outdoor kitchen, oyster pit, an upscale club house, and an area to wash your dog. Also, The Battery has an elevator in every building which is a convenience that can be hard to find in this price range. These condos were built in 2006, so you'll find that most of them are move in ready with little to no work that is needed. When home buyers compare these to other Mount Pleasant condos, The Battery at Park West tends to win out simply because it’s hard to find good options in this area priced under $270,000. Buyers are usually very impressed with the upscale feel of the community and the amenities. Also, these Basildon Road condos connect to the walking trails in Park West, so if you're looking for low maintenance living with access to miles of walking/jogging, this location is ideal. Search more Park West condos for sale.